Ever felt overwhelmed by choices when it comes to cannabis consumption, thus wishing for a highly specific, practically bespoke option at your fingertips? MedMen’s very own effects-based line, [statemade], just might be the solution to your current state of cannabis confusion: [statemade] offers seven different effects to choose from, whether you want to catch some zzz’s, or get blissed out. This week, we’re getting to know: ebb. One of the most significant advances of cannabis in the recent years is how we now have the ability to curate the ideal end result, or, desired high. Long gone are the days of throwing caution to the wind when eating an edible or smoking a joint without knowing exactly what to expect. With products like MedMen’s [statemade] line, you can now know the specific amounts of THC, CBD, and terpenes you’re about to enjoy, allowing for an almost bespoke result. On some days, you might know exactly what you need from your cannabis. For example, a more active day would call for [statemade’s] max, while a night in to catch up on sleep would work well with zzz. But what about the times when you’re not sure what you’ll be doing? You’ll need something that allows you to go with the flow, whether you end up in total social butterfly mode or chilling solo. That’s when you should turn to ebb. ebb is all about that fluidity. It makes for an excellent companion no matter what mood or situation—from an especially energizing moment to a quiet, reflective time. ebb also features an impressive and interesting terpene profile, including limonene, which can squash stress and help you focus, as well as relaxing myrcene, and soothing bisabolol. So, make like the ocean, and go with the tide. 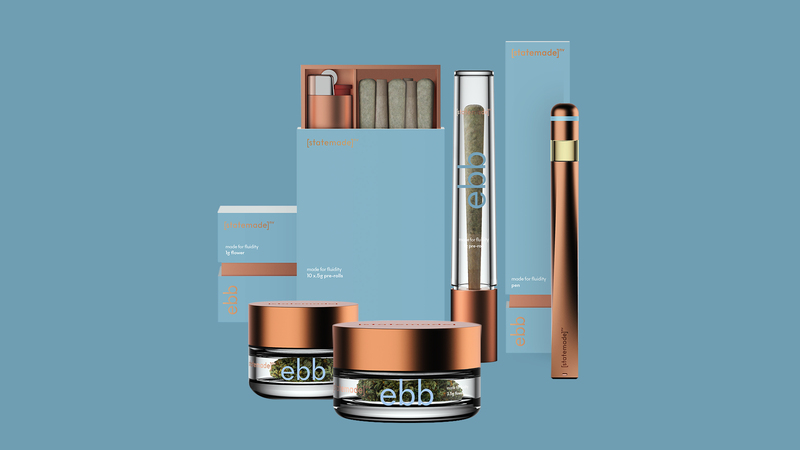 Enjoy ebb via vape pen, pre-roll, tincture, and more. [statemade] is currently only available at MedMen marijuana dispensaries in Las Vegas, and will be coming to other states in 2019.